This app enables you to post status in multiple facebook, linkedin and twitter accounts. It also enables publish RSS Feed to your connected social networks. 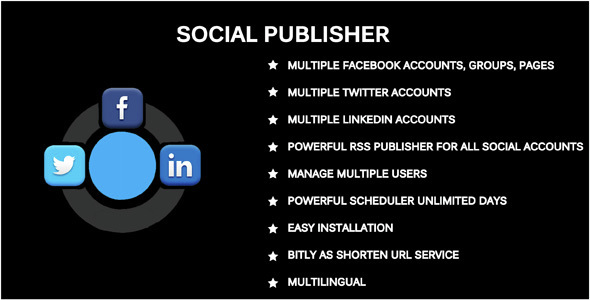 It will save time by posting multiple facebook, linkedin and twitter accounts at a time. It has a powerful Scheduler that helps you to make schedule post.